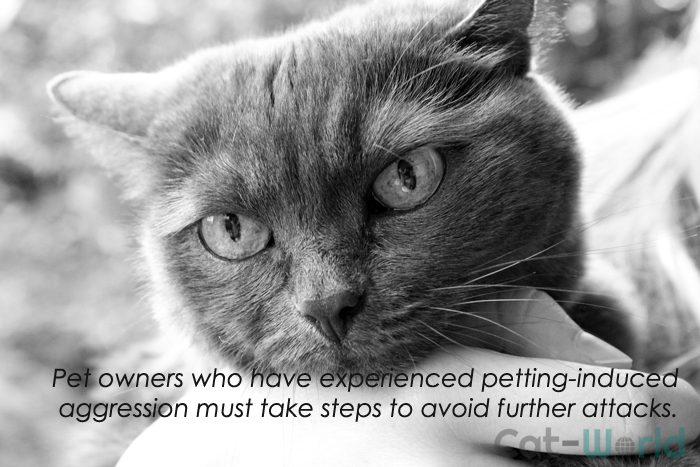 Petting-induced aggression common problem many cat owners experiences. One minute you are enjoying some time petting your cat and all of a sudden he turns around takes a bite or swipe and then runs off and hides. Petting-induced aggression is a type of aggression where a kitten or cat suddenly attacks a person after a short period of attention. The cause is not known, but being separated from the mother and littermates at an early age may be a factor. Pet owners who have a cat who is displaying this behaviour must rule out a medical cause, and if that is ruled out, find ways to curb it. The cause of this behaviour is unknown although it is thought that some cats can only accept a certain amount of petting before becoming uncomfortable. Kittens who are removed from their mother and siblings can develop a number of behavioural problems including aggressive behaviour. Kittens play fight with their mother and siblings and if the kitten is too rough, the mother or siblings will let the kitten know with a hiss or a swipe. This teaches the kitten inhibited or soft biting. Even if the cat has not caused physical injury, this kind of aggression can escalate. Cat bites and scratches carry a high risk of infection and/or an abscess. 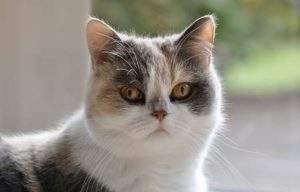 There are a number of disorders which can result in aggressive behaviour in cats. This includes liver disease, neurological disturbances, hyperthyroidism and any condition which causes pain. If you notice these behaviours, stop, immediately. All this will achieve is to make your cat more fearful of you. Not all cats are the same. Be aware of your cat’s physical comfort zone. Some cats like belly rubs, others don’t. Pay attention to the cat’s body language and let him determine where and when he wants to be touched. Teach your cat from an early age that hands are for stroking and not playing. Rough play may be fun when the cat is a baby, but it’s not the same when an adult cat takes a bite. Some cats have a lower need for attention than others. We have to respect that and let your cat decide if and when he wants attention. What Should You Do If You Find A Deceased Cat On The Road?